Happy Hump Day! 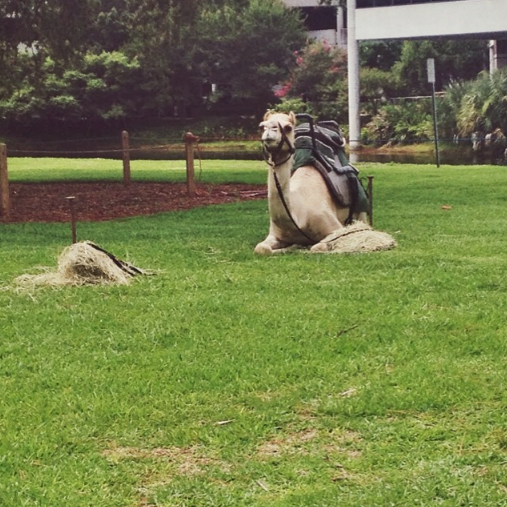 Today at UNF, we were joined by two camels, Oscar and Omar (featured to the left) for rides around the Student Union. Osprey Productions, an agency of Student Government that plans and hosts events for the student body, help us put an extra few humps in hump day. Later in the day, from 2:00 pm to 5:00 pm UNF’s Women’s Center will be hosting a Relaxation and Pampering Day in Student Union Ballrooms A & B for free massages, maniucures!